Eighth Note Flags – Fly Left or Fly Right? Eighth Note Flags –Do they Fly to the Left or Fly to the Right? I can hear the groan of frustrated teachers everywhere. Once again, I blame Lazy Designers on using a “flipped” flag that incorrectly depicts single eighth note flags. So, how can we stop our students from writing what they “see” when what they see is incorrect? 1. Which of the following eighth notes are correct and which are incorrect? 2. Which of the following eighth notes will you find on t-shirts, socks, mugs and other “music related” products currently on the market? If you stated that #2 and #4 are correct, and #1 and #3 are incorrect, then you are correct. Pat yourself on the back! Take a treat from the Treasure Box! *grin* If you stated that you have seen all four of these printed on products, then, alas, you are correct too. *sigh* Once again, I blame Lazy Designers on using a “flipped” flag that incorrectly depicts single eighth note flags. 1. Eighth Note Flags are always written on the right of the stem. 2. Eighth Note Flags do not touch the notehead. UMT Tip For Eighth Note Flags: Yes, in printed music, it often looks like the flag on a descending stem is touching the notehead. This is simply because typesetting programs use a uniform stem length. When a stem is descending, the uniform flag size will place the flag so that it does touch the notehead. On an exam, or in their theory, if the student writes the flag so that it touches the notehead, it will be marked as incorrect. So – when writing Eighth Note Flags for descending stems, remind students to “do as you are told and not as you see in music”. In other words, do not write the flag so that it touches the notehead! If a student wrote one of the following Single Eighth Note Flags, would you consider it incorrect and, if so, why? #1 – Incorrect – the Eighth Note Flags must never touch the notehead. #2 – Incorrect – the Eighth Note Flags should be approximately an interval of a 4th – 5th in length. They don’t have to be exact – you don’t need to measure under a microscope! But this one is definitely too short! #3 – Incorrect – the Eighth Note Flags cannot cross back over the stem. #4 – Incorrect – the Eighth Note Flags are always on the right of the stem. My student Nina has a great way to remember the Eighth Note Flag Rule, as you can see on this video. If your cloud always blows to the east, your flags will always fly to the right! 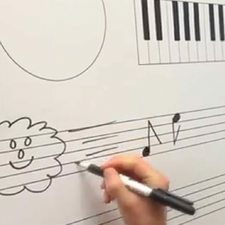 Actually, what a great way to show students if their flags are flying incorrectly – draw a cloud in the margin before the staff and see if the wind is blowing gently to the east or if your student’s music is in the middle of a tornado with the wind blowing north, south, east and west! Teach Theory in private and in group classes. Incorporate Sight Reading and Ear Training into a Theory lesson. Properly prepare students for nationally recognized Theory Examinations such as the Royal Conservatory of Music Theory Exams. 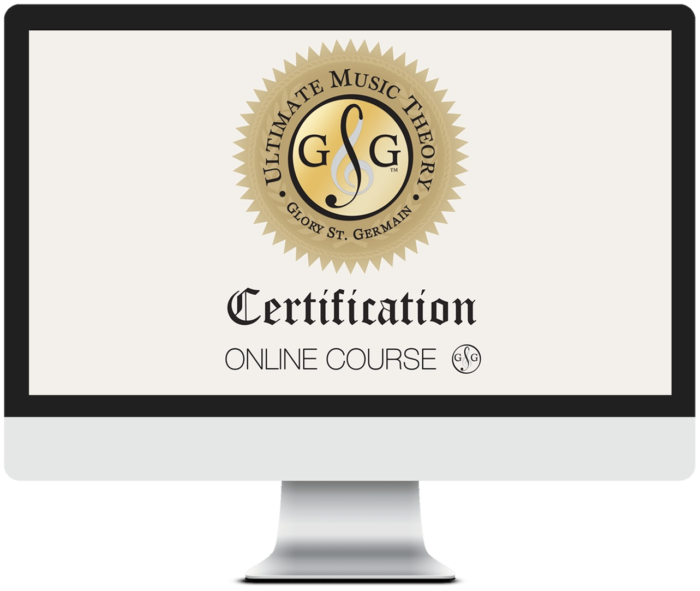 Check out the Ultimate Music Theory Certification Course now for more information and for registration. P.S. – Join the Conversation! Is there any other music notation that your students struggle with writing correctly? Post about it below. I just may get enough to write a “Teacher’s Top Ten Music Notation Writing Pet Peeves” Blog! Thanks for pointing this out. My students have much more trouble with single sixteenth note flags. Can you show some of these hand-drawn, please? Most definitely! I will add that to my blog list! Stay tuned…. I teach my student to draw an eighth rest first which is like the number 7. The flag of eighth notes will be on the opposite side of a flipped seven. The idea of a cloud is cute but clouds can blow wind to the west or the east. Yes Evelyn, clouds can blow to the east or to the west BUT when the cloud is placed at the beginning of the staff, it can only blow to the east! So, remember to put the cloud at the front of the staff (since we read from the beginning of the staff) and your flags will always fly properly! PS ~ being dyslexic, I sometimes struggle with which way an eighth rest is written in the first place, so thinking about it backwards doesn’t work for me! LOL!